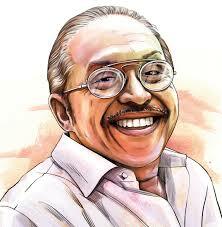 Trivandrum, 13 February, 2017: 'Ormakalude Thirumuttathu' a rememberance programme of renowned poet ONV Kurup will be held at Tagore Theatre today. The programme organised by ONV Prathibha Foundation, Public Relations Department, G Devarajan foundation will be inaugurated by poet Prabha Varma at 10 am today. The programme will be attended by Sugatha Kumari, V Madhusoodhanan Nair, Ezhachery Ramachandran, PK Gopi, Manamboor Rajan Banu, etc. The book titled Kunju Manasile ONV published by the students of Sabari Giri School Anchal will be released in the event. The best poetical work among the college magazines of the state will be awarded Kalalaya award. The event will be concluded by a musical performance of ONV songs by G Devarajan foundation.